This new visor and helmet cleaner is claimed to deliver repeated scratch- and streak-free cleaning. The makers say it’s suitable for all types of visor, whether clear, tinted, mirrored or with an anti-fog coating, and that it can also be safely applied to outer shell or the helmet, headlight, windscreen and mirrors. 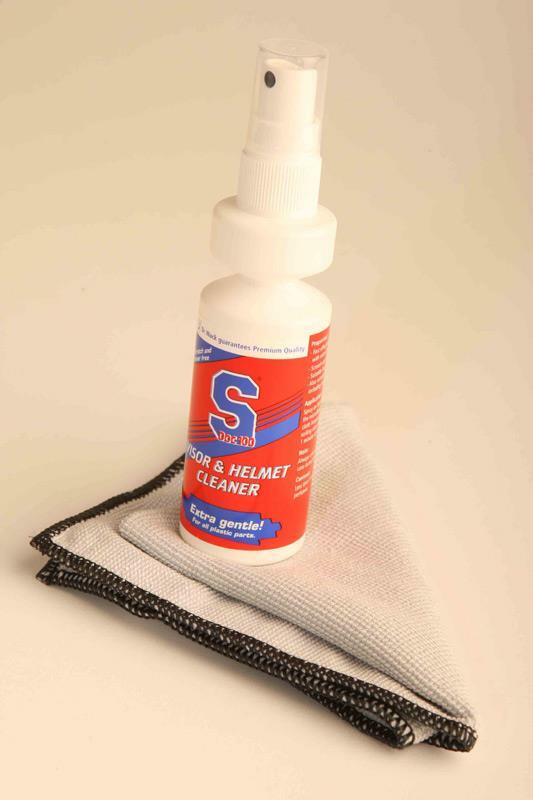 The 100ml spray bottle comes with a lint-free microfibre cloth. One bottle costs £12.95. More info: 01256-704909 or www.sdoc100.co.uk.